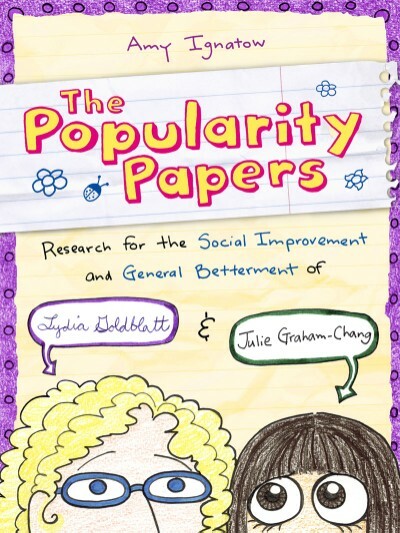 Popularity Papers: THE BLOG: Merry Old England! Coming soon in paperback, hooray! 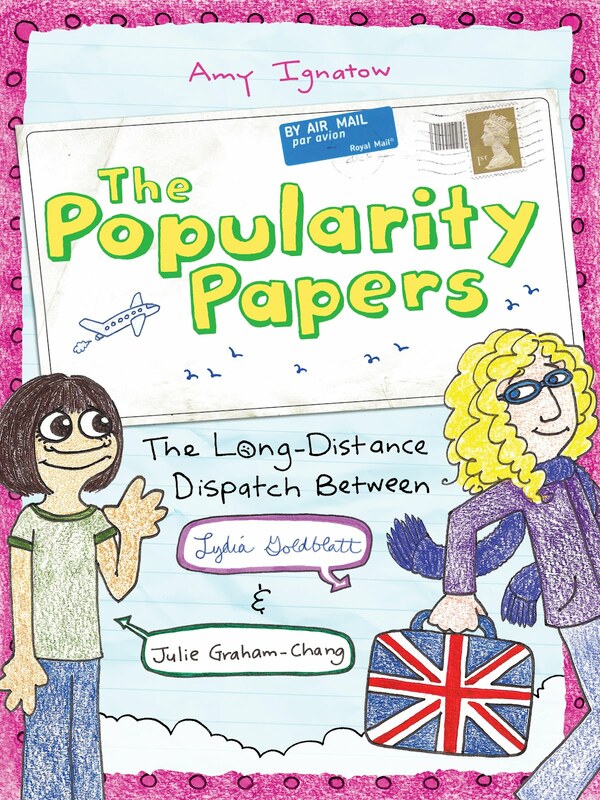 Next month the paperback edition of my second book, The Popularity Papers 2: The Long-Distance Dispatch Between Lydia Goldblatt and Julie Graham-Chang is coming out! 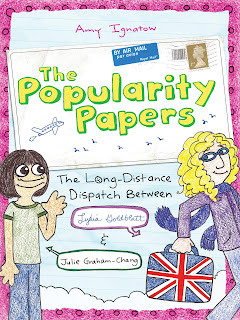 In it Lydia and her family relocate to London for six months, and she and Julie email and chat online about starting junior high and living in another country. See any familiar faces? 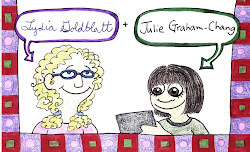 Anyone who reads my books knows that I believe that true friendship can withstand both distance and time. 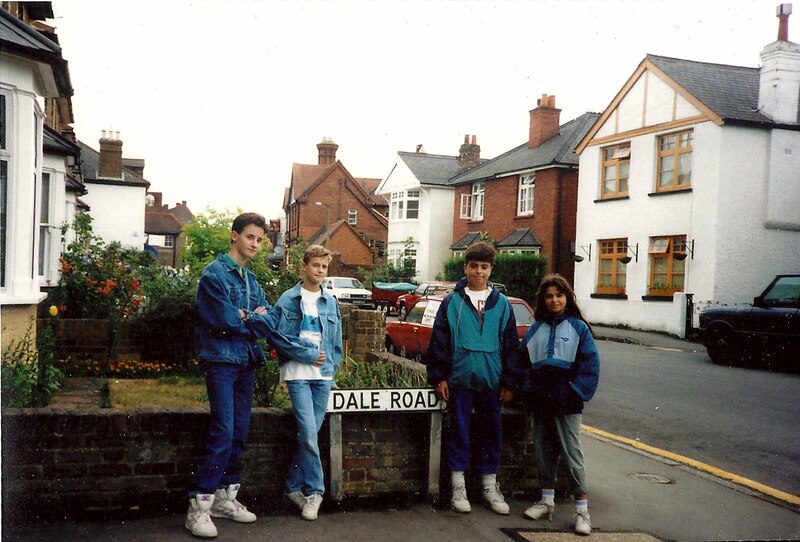 That boy on the left with the super awesome sneakers? That's my friend Peter, and if you check out the blog post I wrote when we were in Denver, you can see that the wedding we drove across the country to be at was his. Pretty neat, right? 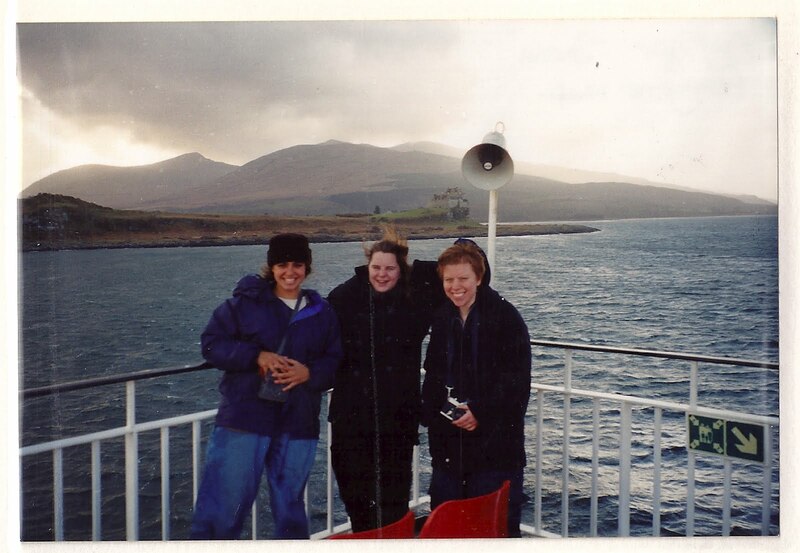 On a ferry to the Isle of Mull with Kit and Sarah. 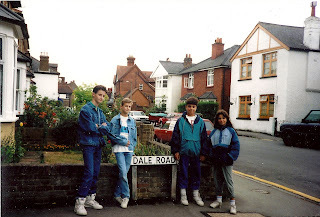 Apparently I really loved wearing windbreakers. 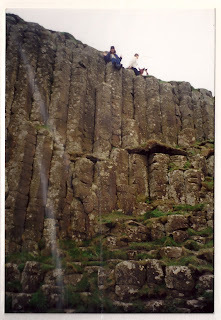 Atop Giant's Causeway in Northern Ireland. 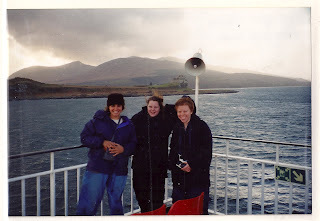 One of my all-time favorite pictures with Kit, and we've been friends since we were 13, so there are many. I love these photos, but you kind of have to take my word for it that they were taken in the UK (except for the one on the Giant's Causeway, and in that instance you just have to take my word for it that it's actually me sitting there). I thought I had all these shots of me in Oxford and London and Glasgow and Manchester but in reality I just have pictures that I took of other people in Oxford and London and Glasgow and Manchester. 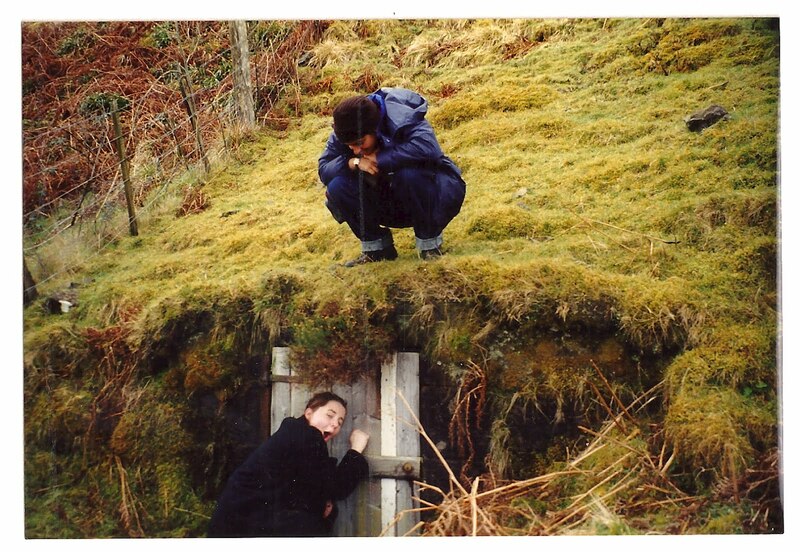 The way I see it, there are only two ways to rectify this situation. The first would be for Jason to send me to England, which I happen to think is a fabulous idea. If Jason sent me to England, I would get so many great photos! I would take a photo in front of Big Ben, I would go to Bath like the Goldblatts and the Graham-Changs do in PP2--I would do such a fantastic job of putting my face in front of England's landmarks. When I mentioned this brilliant idea to Jason, he just laughed and laughed and laughed and I don't think he took me seriously. And so, Plan B! 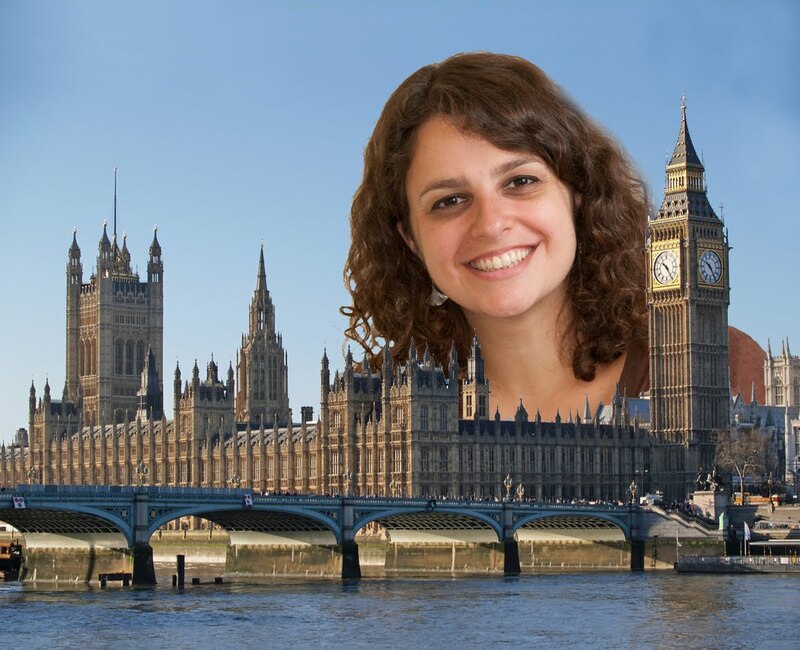 One of the perils of living in London is attacks by gigantic American authors. I guess you had a nice trip.